Well, it’s no surprise that Canadians love their hockey. But the nominations that flooded in for hockey to be considered a “wonder” of Canada brought that love to a new level. Hockey – it seems – has an almost spiritual significance to a lot of Canadians. Whether it’s the outdoor rinks, the zamboni machines, the world’s largest hockey stick, the beer, or just the game in general… Canadians unite over hockey. 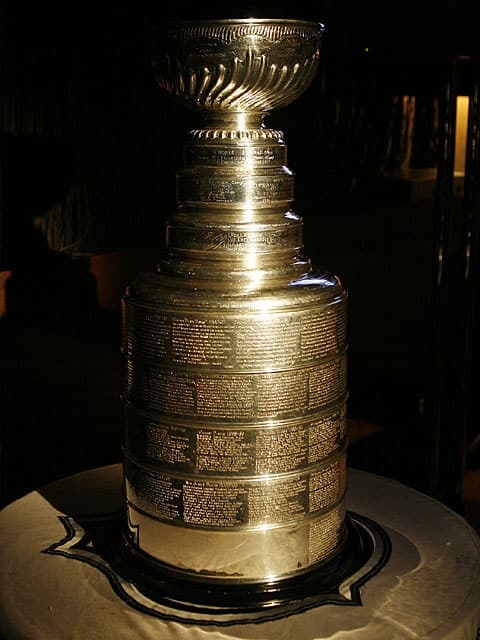 And what could be more emblematic of hockey than the glorious – nay – the mystical Stanley Cup, commonly referred to as simply “The Cup”, “The Holy Grail”, or “Lord Stanley’s Mug.” Whatever you call it - it is one of the most-recognized symbols in North American sports. Take a moment to look at the list of wonders, and ask yourself, based on hours wasted in daydreams, is there another wonder that has affected Canadians like the Stanley Cup? With the possible exception of the CN Tower, is there a Canadian silhouette that could be more readily identified? … Surely the uniqueness of the Cup speaks for itself. It was the cup's tour of Afghanistan that got me thinking. Is there another chunk of metal in the world that could inspire soldiers in a war zone? I know in the day dreams of my youth, While I imagined Hitting the winning home run or getting the game winning goal for Canada in the FIFA World cup, or even finishing first in the Olympics, it is only the Stanley Cup I ever dreamed of hoisting. Ice Hockey is Canada's "religion". 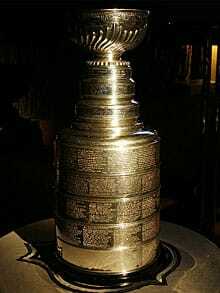 The Stanely Cup epitomizes Ice Hockey. On "game night, one only has to only observe a city whose team is in the Stanley Cup Playoffs to see the passion Canadians have in this trophy. This Canadian passion has spread to many areas of the world. I nominate the Stanley Cup as it is a piece of Canadian property able to break down barriers of language, religion, political views..... and it brings us together as Canadians. The toughest championship to achieve in the world.